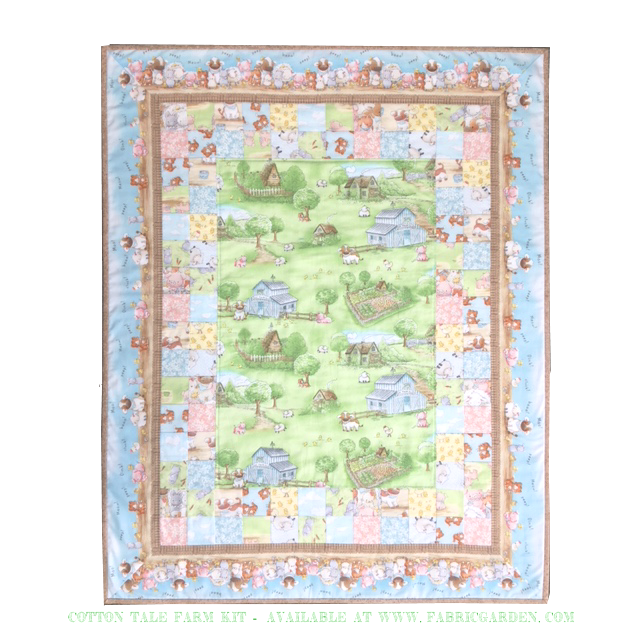 Kit to make this adorable play mat, featuring Cotton Tale Farm fabrics by Timeless Treasures. Finished mat measures 33" x 41". 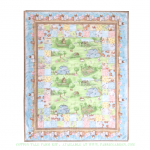 Kit includes pattern, plus fabrics for the top, as well as for binding. Backing not included - you will need 1 1/4 yards for backing. Fabrics are 100% cotton.